Wash the potatoes thoroughly and cut into thin. Wash with water and dried. We lay out the foil and sprinkle with salt and oil. Bake in a preheated oven at 220 ° C for about 20-25 minutes. Meanwhile, we fry the bacon strips and put them on a plate. Grate cheese. 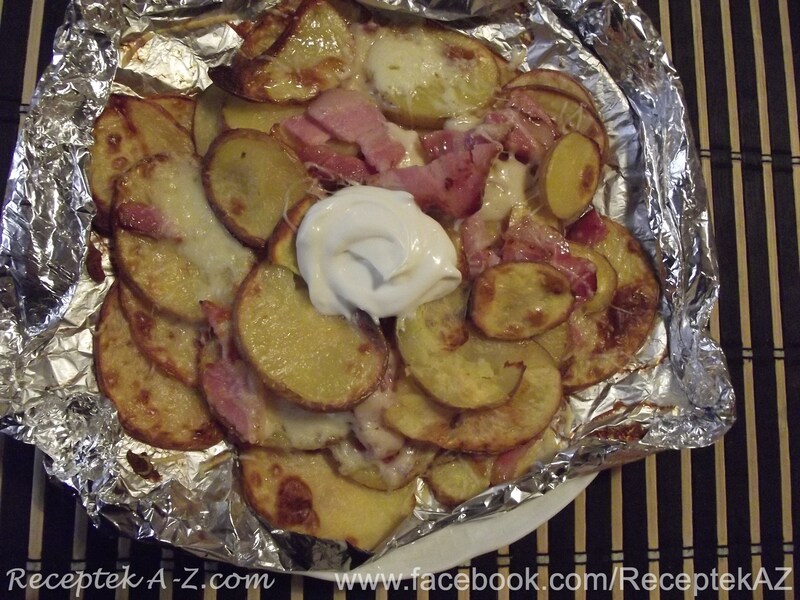 Baked potatoes lie out closer together and sprinkle with half the bacon and half the grated cheese. 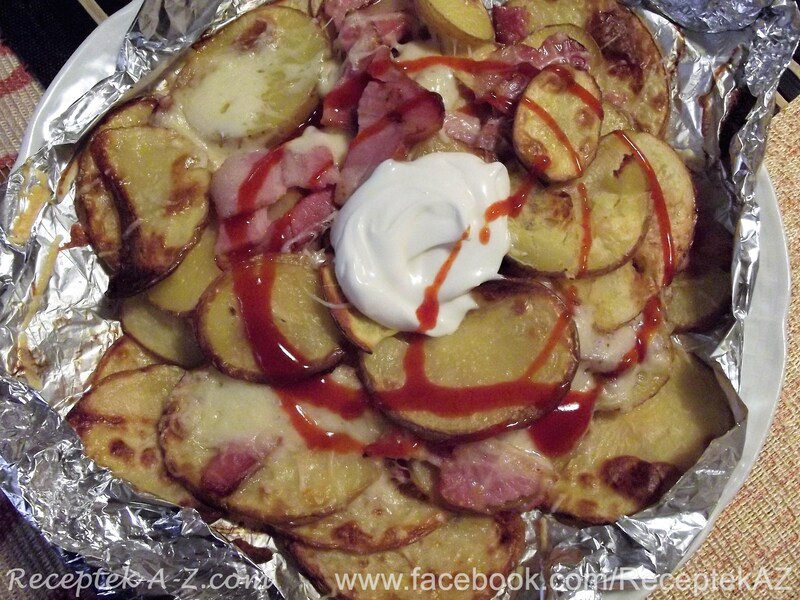 Add another layer of potatoes in the rest of the bacon and sprinkle with grated cheese. We cover the last layer with the potatoes and put back in the oven for 5-10 minutes. Serve with tartar sauce, with sour cream or hot sauce.